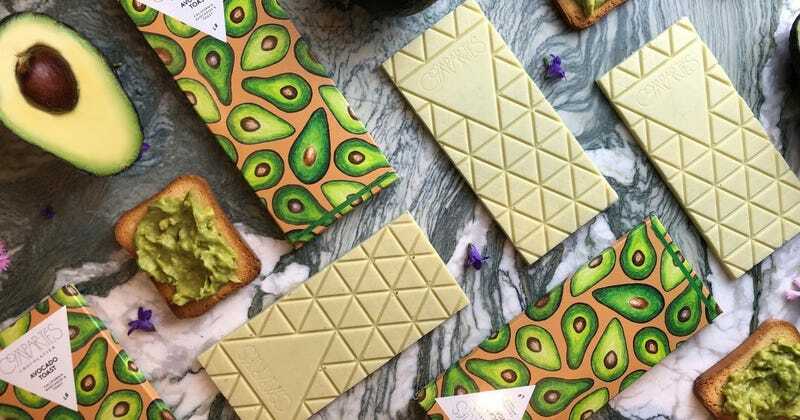 Fulfilling your deepest avocado desires, fancy California-based chocolate company Compartés has announced its new “California Avocado” chocolate bar, billing it as “an avocado enthusiast’s dream.” The bar blends white chocolate with avocados and “crunchy bits of caramelized toast” to create the avocado toast doppelgänger effect. Yep, they put toast in a candy bar. Just what will they think of next? Hungry millennials must act quickly though, as the bar is only around for a limited time. Luckily for us all, the California Avocado bar is a mere $10 for all those people who prefer to spend their future mortgage payments on snacks. Point-counterpoint: Should we embrace pitless avocados? Why are people eating avocado pits?